Motor sport always has coincidences, this time the Pan American Race and Race Of Champions, coincide in having in their list of winners the participation of great world champions of various championships and categories of motorsport. World champions from Juan Manuel Fangio, Piero Taruffi, Clay Regazzoni to the champions of our times as Carlos Sainz, Nico Hülkenberg, Alain Prost, Michael Schumacher, Fernando Alonso, Sebastian Vettel, current and future promises have been successful participants of both organizations. 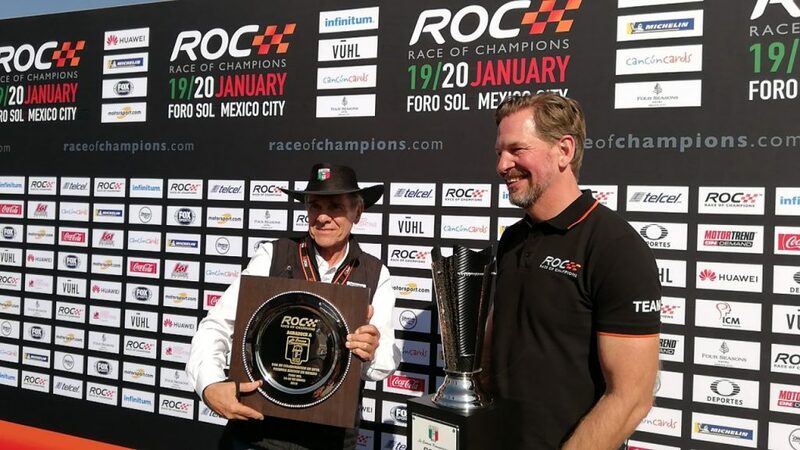 In an act of recognition and mutual respect, the Carrera Panamericana and Race Of Champions exchanged recognitions for the trajectory and value to both organizations, first Eduardo León, honorary president of the Carrera Panamericana presented ROC with a trophy for the organization of this first edition in our country, followed by Fredrick Johnson, president of Race Of Champions did the same and delivered a recognition for the presence of the Carrera Panamericana, drivers and Pan American cars within the Drivers Parade during the two days of activities of this championship.